Arsenal 2-2 Chelsea: Here are the negatives and positives we take from the game. 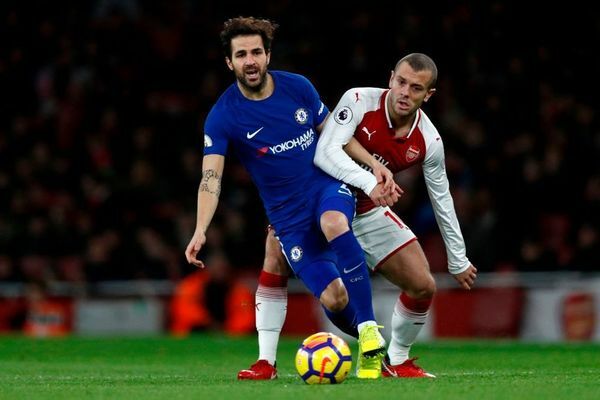 Chelsea drew 2-2 with Arsenal at The Emirates last night in a pulsating game of football and arguably one of the games of the season. 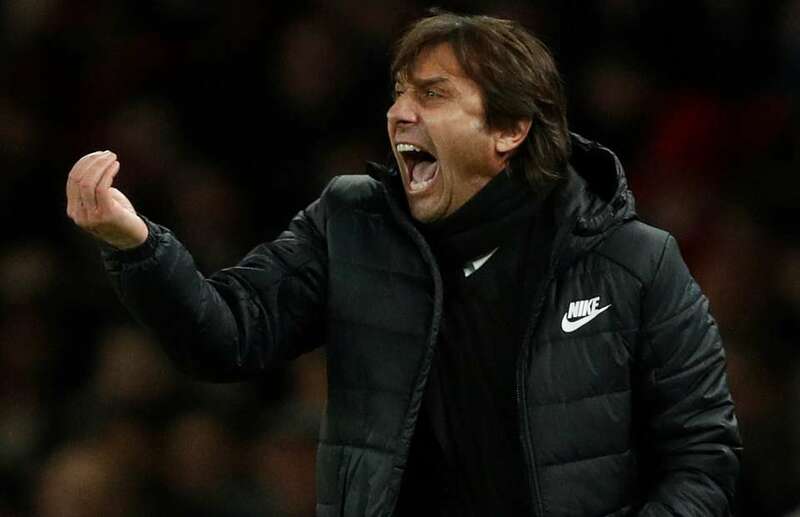 It was a massive night for Chelsea with the pressure on to keep up with the pace being set by league leaders Manchester City, and to keep the pressure on Manchester United in our battle for second place. I called for a Chelsea to play an attacking 3-4-3 formation with Danny Drinkwater working in tandem with N’Golo Kante in the heart of our midfield stating that anything less than three points would be failure – I didn’t get the starting eleven or the formation I wanted, and I didn’t get three points either! Despite that, here are the positives and negatives that we must take away from the game as we look forward to Norwich on Saturday evening in the FA Cup. Character - Chelsea showed fantastic character to fight back from being a goal down half-way through the second half. There has been times this season that we showed a complete lack of ideas which cost us our league defeats so far this season but last night was very different. Chances created – There has been games this season when we have struggled to create real clear-cut opportunities or have found those to be limited in games which has cost us. Last night we created plenty and looked dangerous every single time we broke at pace and forced Arsenal backwards. Marcos Alonso – How many more time do we need to say that we do not need to spend £50m on a new left sided wing-back when this guy has been playing the way he has since he arrived at the club. That’s seven goals this season so far which is a fantastic return. Andreas Christensen – There is little Thibaut Courtois or our defence could have done about either of their goals last night. Both were opportunistic strikes that you must stop and hold your hands up to. However, apart from that, Christensen had another great game and continues to demonstrate a level of maturity beyond his years. Our unbeaten run – With the draw last night, that’s a total of 14 points taken from 18 in the Premier League over the busy festive period which is a good return that keeps us right on the tail of Manchester United who surely has to be our focus now for the remainder of the season. We have to really kick on between now and the end of the season to finish in second place. 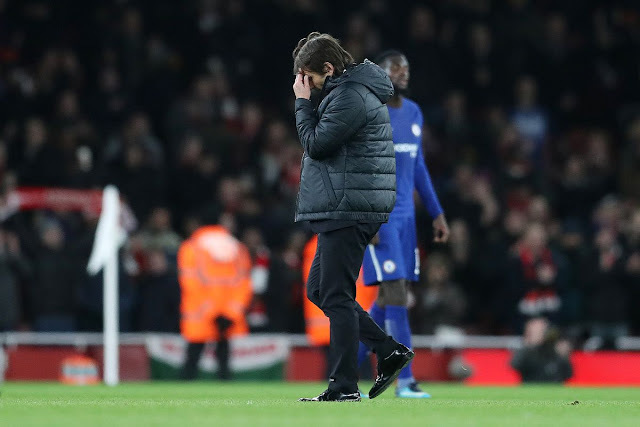 Team Formation – I have to disagree with the formation of 3-5-2 that Antonio Conte started with because it was clear that Arsenal, with the defensive problems they had heading into the game, would line up with the same. We should have started as we did against Stoke in a 3-4-3 formation and looked to attack them at every opportunity as we all witnessed just how nervous they were. 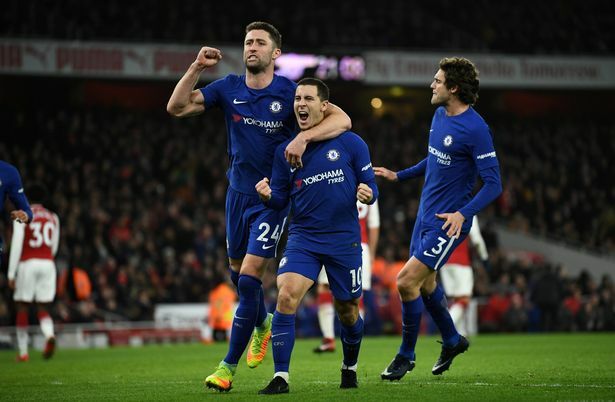 Bakayoko/Drinkwater – For me, Danny Drinkwater should have started the game alongside N’Golo Kante and not Bakayoko even if we were to stick with the 3-5-2 formation. I thought that Bakayoko struggled positionally. 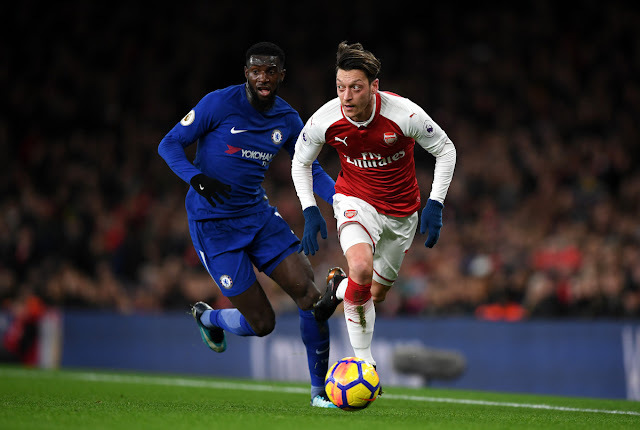 Watching the game back late last night, I picked up on the opinion of Gary Neville acting as a commentator during the game as he earmarked the fact that Bakayoko had continued to allow Mesut Ozil to play off the back of him and the fact that he continually lost his man (Ozil) which enabled the German to attack us at will throughout the game between our defensive and midfield lines. Chelsea sit too deep – I understand that the head coach will have a game plan ahead of the match. He will want his players to remain compact and maintain our defensive shape without the ball. The problem we had was that once we had scored to make it 1-2, our back line sat deep and sucked our midfield back with them to maintain our shape whereas we should have stepped forward ten yards, pushed up and condensed the size of the pitch for Arsenal to play. We didn’t, we allowed them to attack at will and threw away three points. Chances missed – It has cost us this season in the defeats we have had and in games that we have dropped points. How on earth we walked away from the Emirates last night without three points I will never know! Batshuayi, where was he? 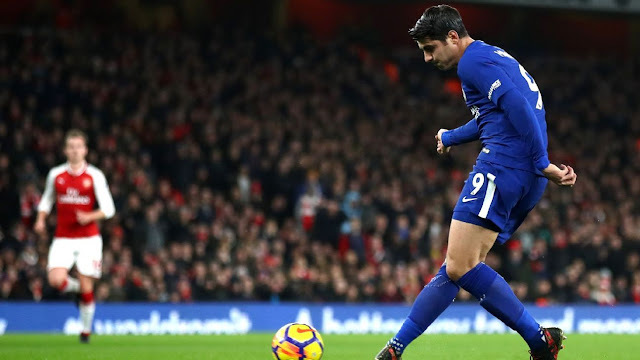 – I understand that the manager doesn’t have the same faith in Michy Batshuayi as he did with Diego Costa and now Alvaro Morata but when it’s clear that your number one striker is suffering in front of goal having already missed two excellent clear-cut chances, have the balls to make that change up front and bring him on. Batshuayi has won us the game from the bench earlier in the season and could have done so again last night. There ARE positives to take from the game as stated above and that’s important to remember here. It would have been ten times worse if we failed to create chances or if we never looked like getting back into the game. Yes Alvaro Morata had a bad game but it happens to everyone at some point so I do not understand the comments being made on Social Media at the moment. The positive from him was his movement and his work-rate. Despite not taking that early chance in the first half, he continued to work hard and to make the right runs. If he failed to do so and lost his head then it’s a different story. Yes, it’s a disappointing result but we defended well, showed character to fight back and on another day, would have scored five. We only sit one point behind Manchester United who must be our focus now and we extend our unbeaten run with a good points return over the Christmas & New Year period. Get behind Antonio Conte, Alvaro Morata and Chelsea!